Reinforced top and bottom corners on both pan and lid helps prevent chipping and cracking.Spoonable bottoms makes removal of contents easier and helps prevent food waste.Molded-in capacity indicators are listed in both quarts and liters.Textured non-slip finish on corners, sides, bottom and lid reduce scratches.Smooth interior finish makes clean-up easy.Polycarbonate containers can withstand temperatures from -40˚F to 212˚F.High-heat pans excel in high temperature applications and are BPA Free (-40°F to 375°F) Food Pan sizes meet specifications for use in food bars and steam tables.Pans meet EN 631-1 Euro Norm standards for inter-stacking with existing pans NSF Listed; dishwasher safe. 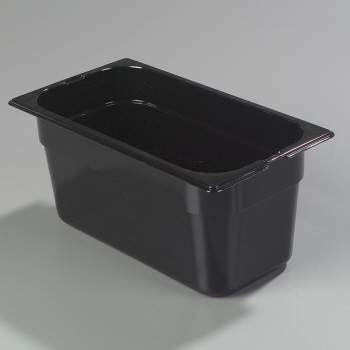 Insert food pan with easy lift notch which helps reduce direct hand-to-food contact for greater food safety. These top notch food pans meet specifications for use in food bars and steam tables. 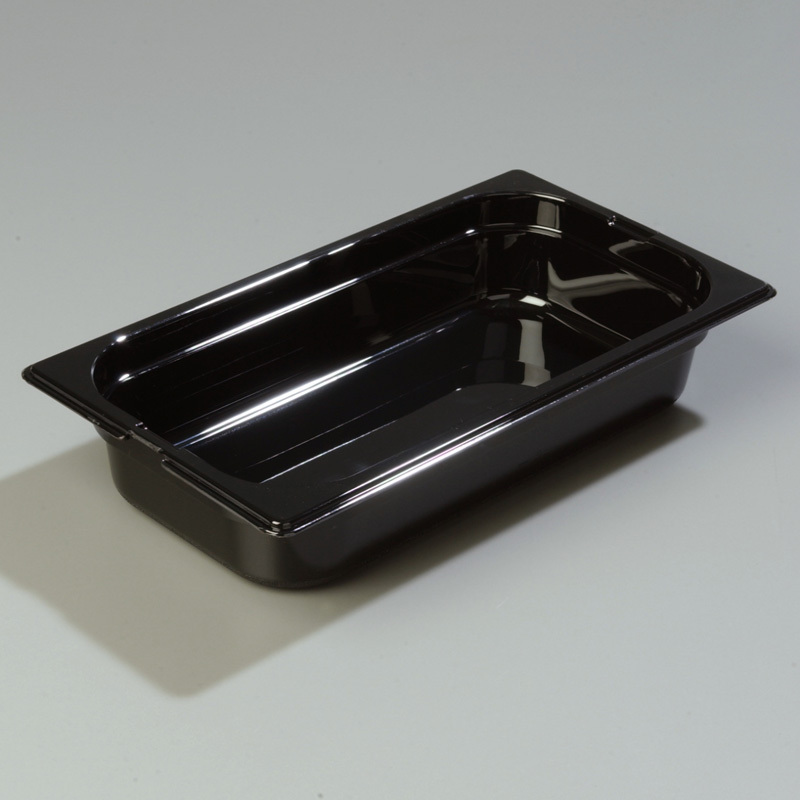 Pans meet EB 631-1 Euro Norm standards ** for inter-stacking with existing pans. 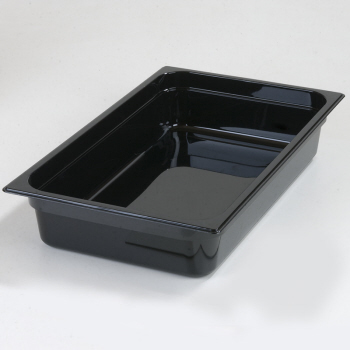 These pans are dishwasher safe. 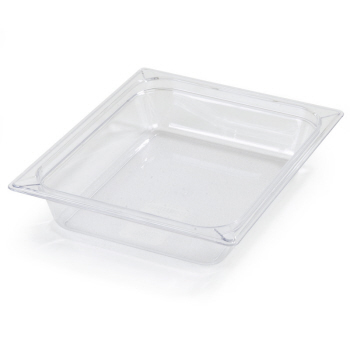 NSF listed. 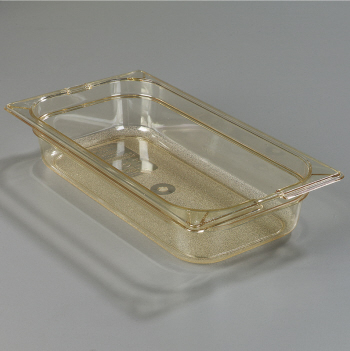 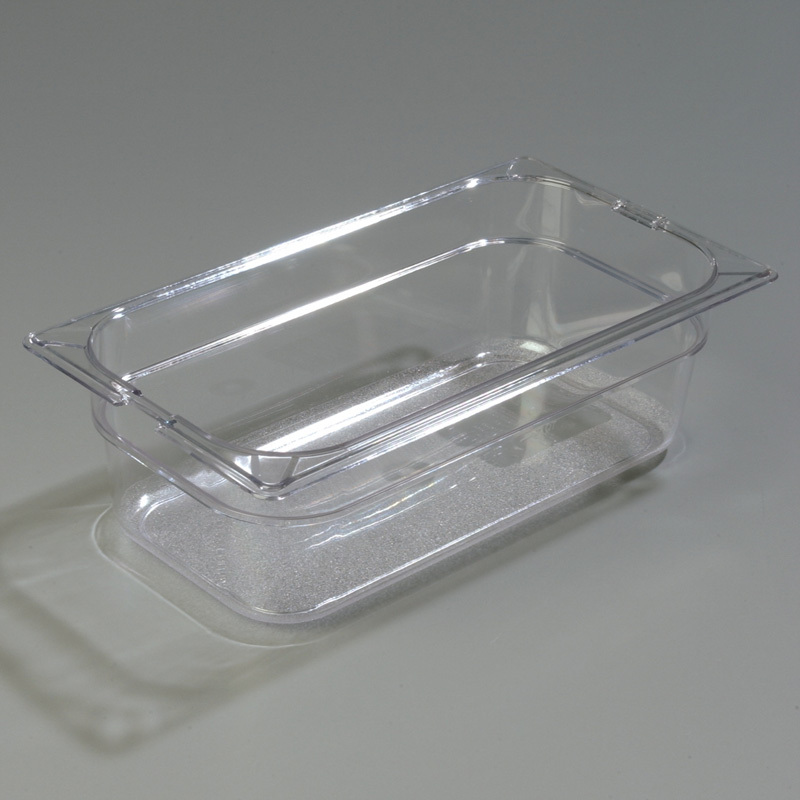 These are polycarbonate pans that can withstand tough use and resist food acids and oils. 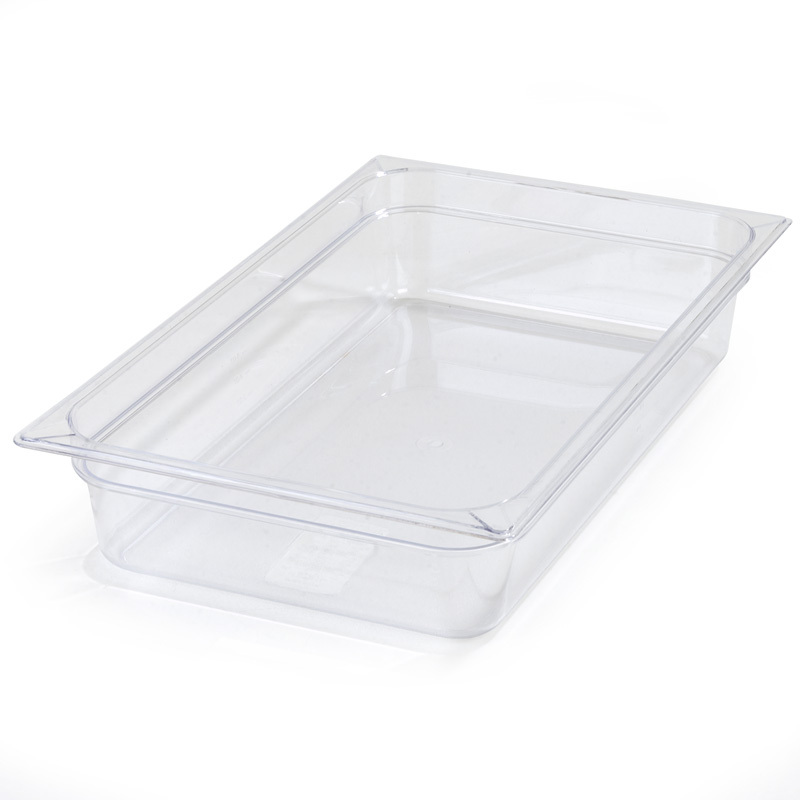 Only Top Notch Food Pans have Easy Lift Spoon Notches, one at each end of food pan for easy removal from steam tables and recessed counters. 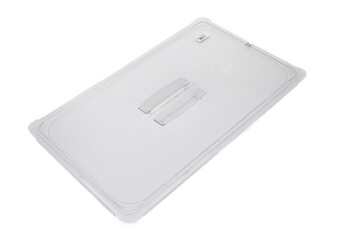 You can just place the end of a spoon or other utensil under the reinforced notch, lift, and remove food pan. 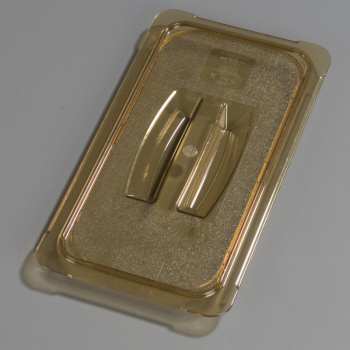 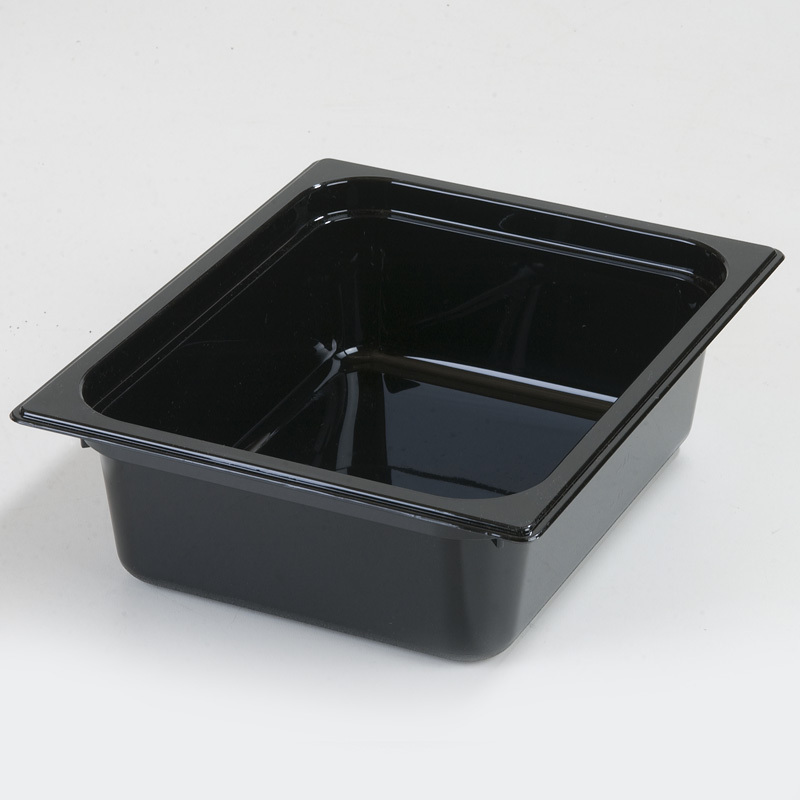 Easy lift notch reduces direct hand-to-food contact for greater food safety. 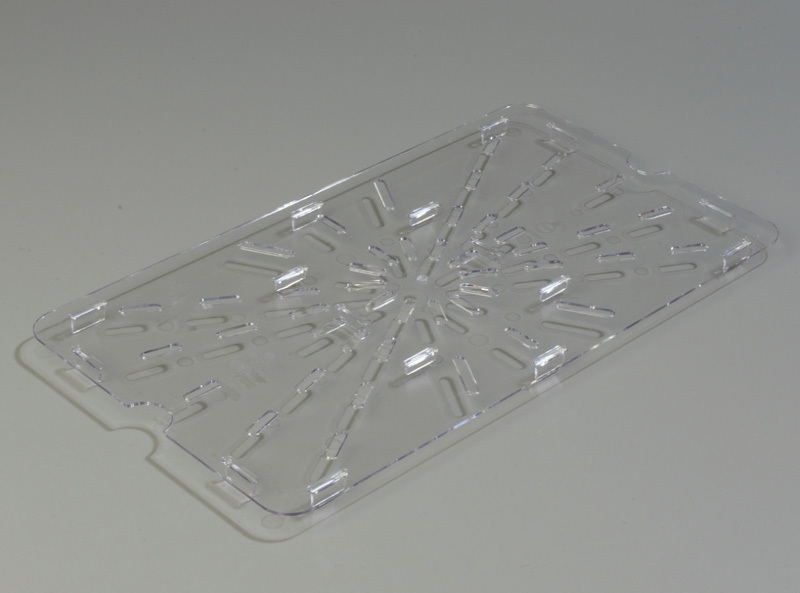 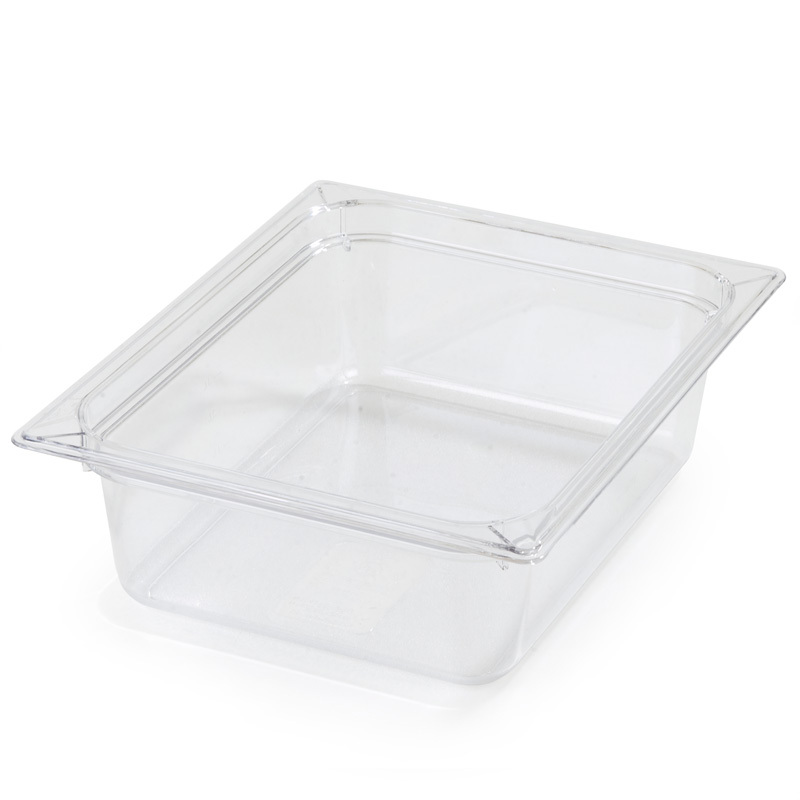 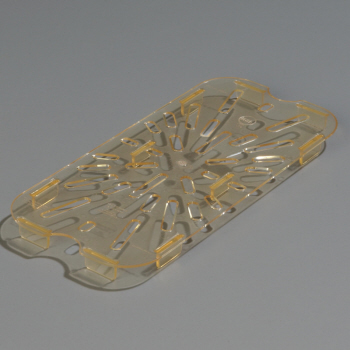 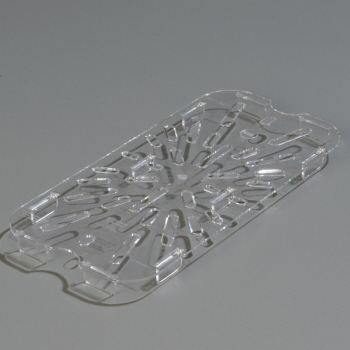 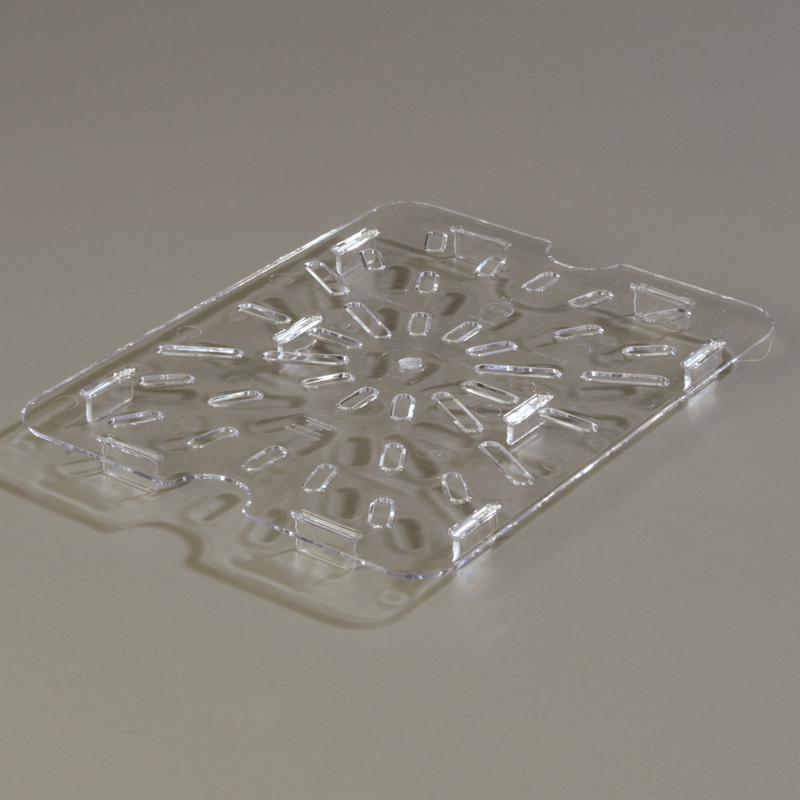 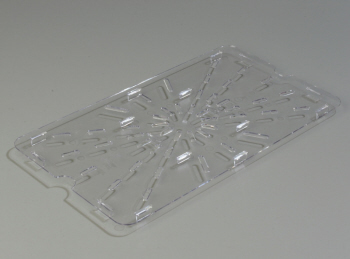 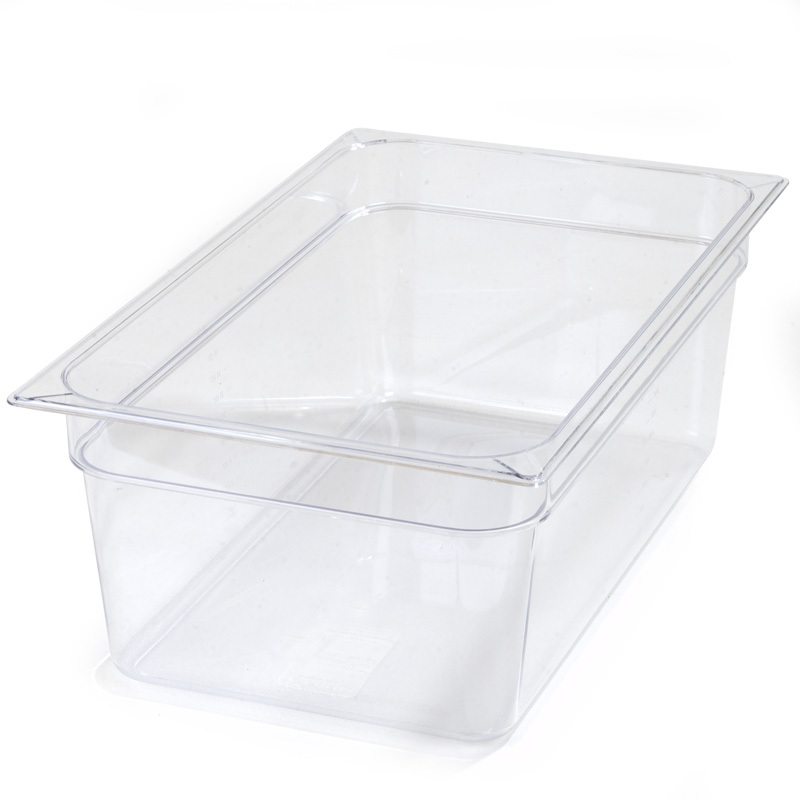 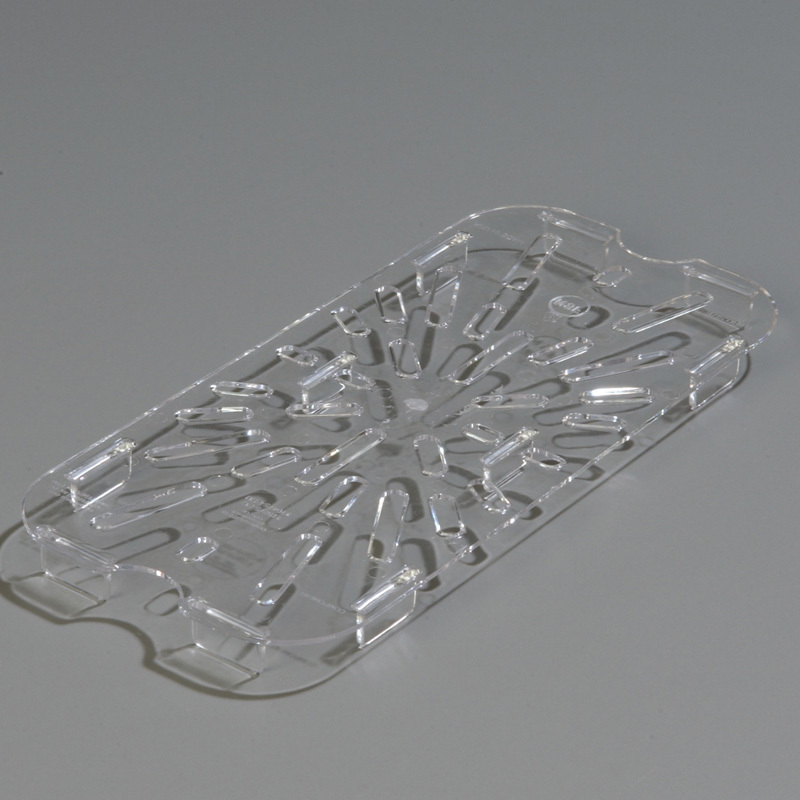 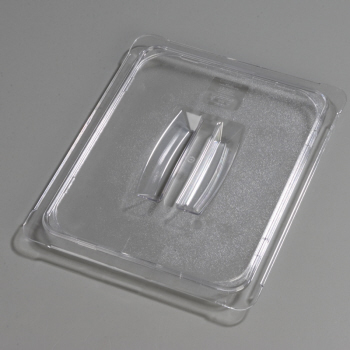 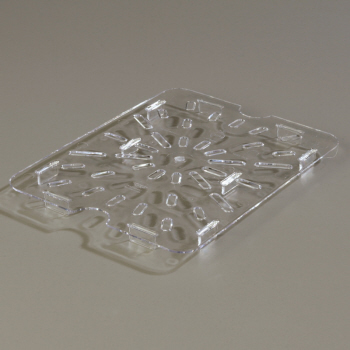 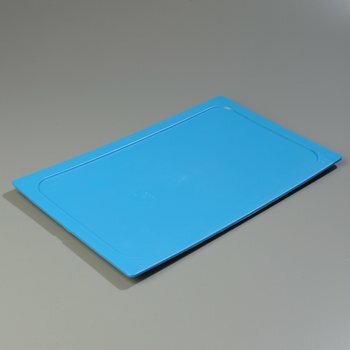 Polycarbonate(PC) pans withstand tough use; resist food acids and oils; and can withstand temperatures of -40°F to 212°F. Pans are NSF Listed and dishwasher safe. 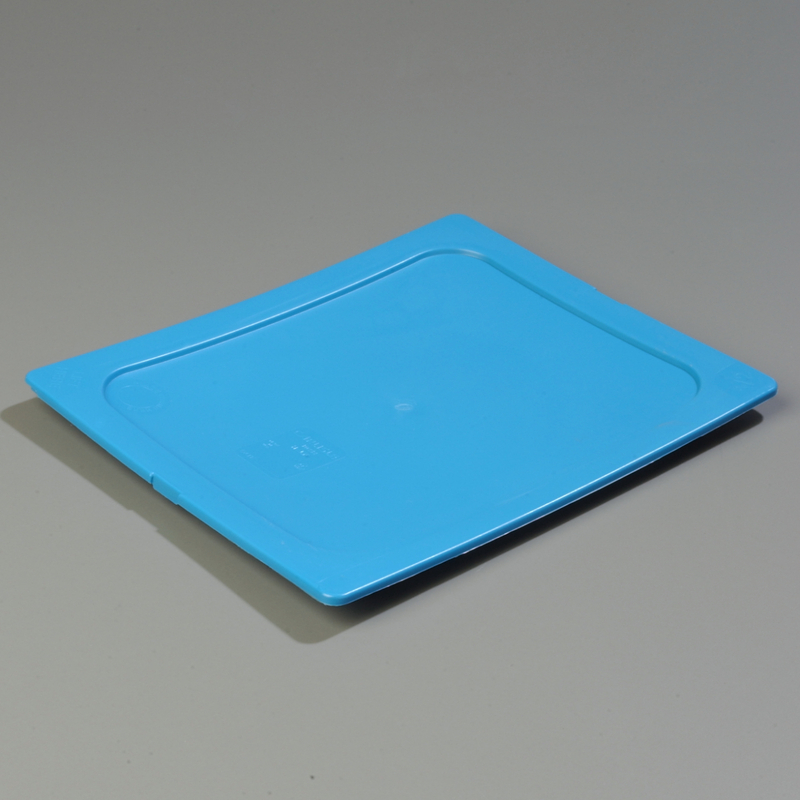 Reinforced top and bottom corners on both pan and lid helps prevent chipping and cracking. 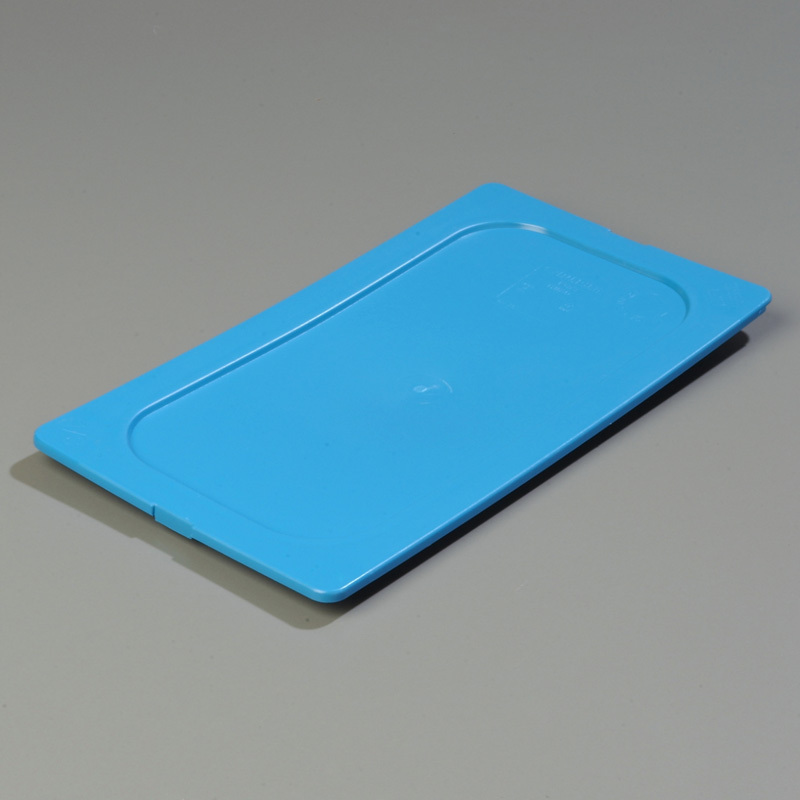 Spoonable bottoms makes removal of contents easier and helps prevent food waste. Reinforced top and bottom corners on both pan and lid helps prevent chipping and cracking. 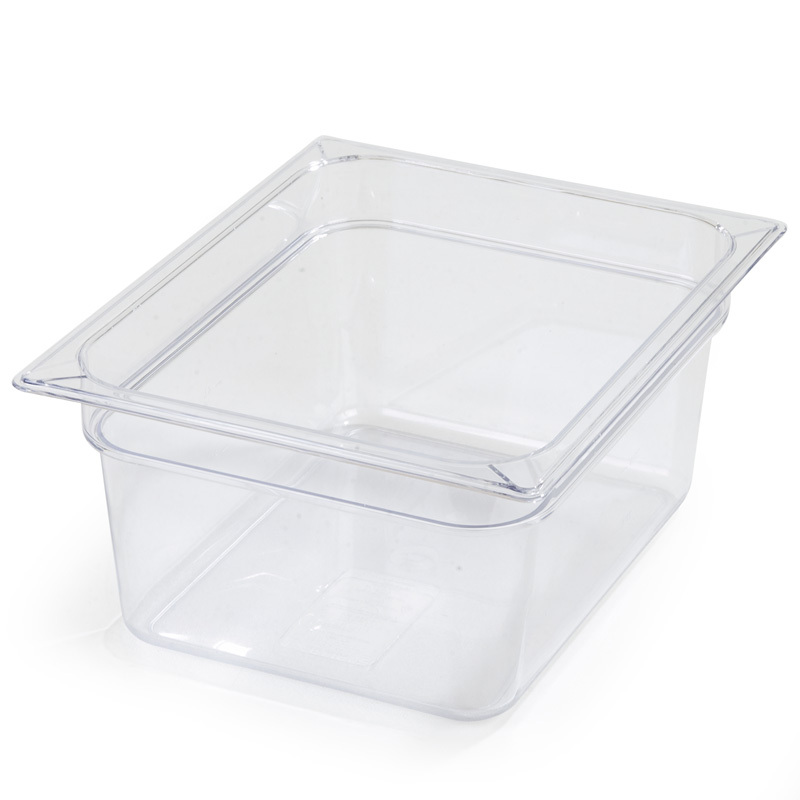 It has spoonable bottoms that makes removal of contents easier and helps prevent food waste. 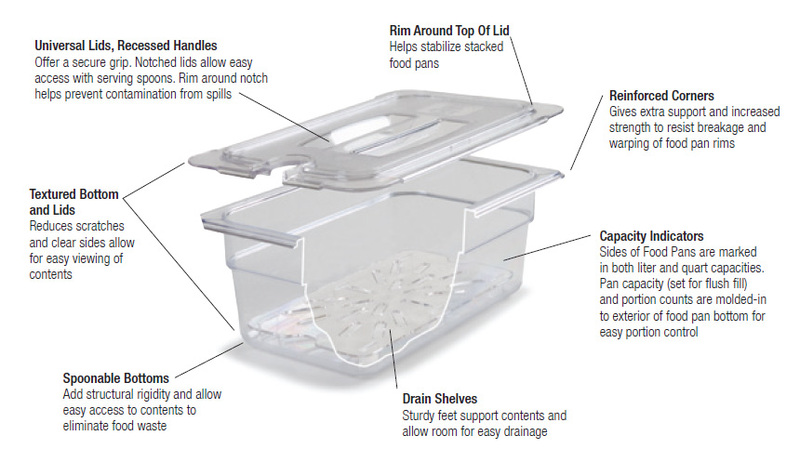 “Easy Lift Spoon Notches” are located at  each end of the food pan for  easy removal from steam tables and recessed counters. 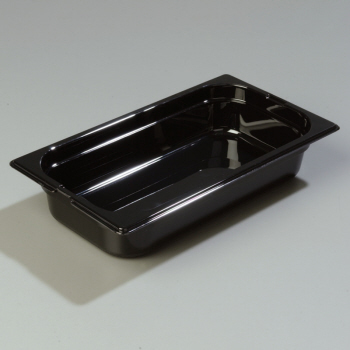 Just place the end of a spoon or other utensil under the reinforced notch, lift, and remove food pan. 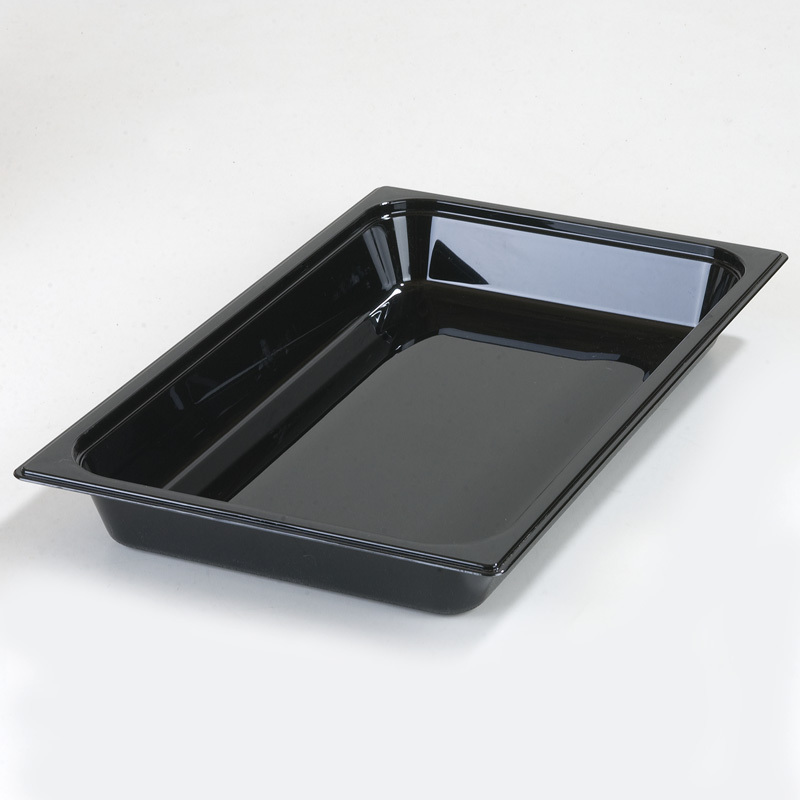 Top Notch Food Pans meet specifications for use in food bars and steam tables. 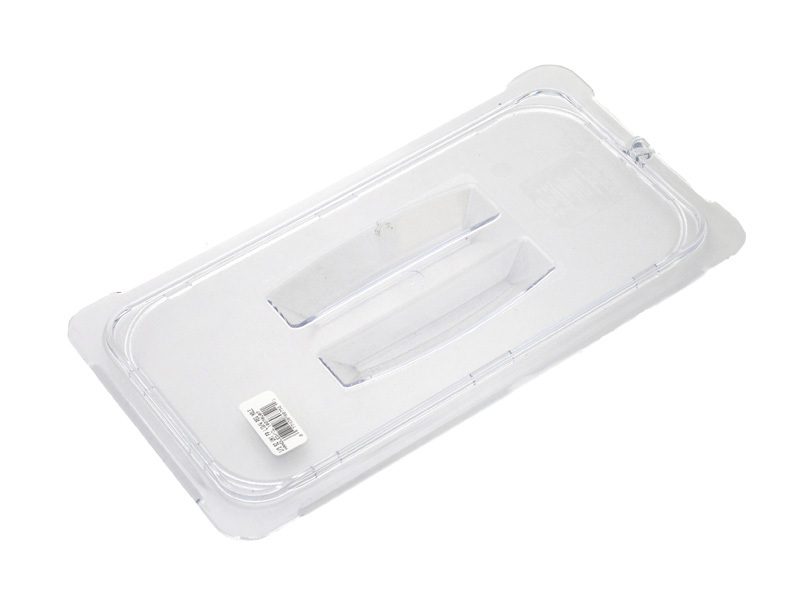 Polycarbonate(PC) pans that can withstand tough use. 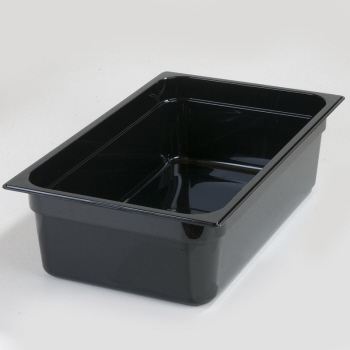 Resist food acids and oils. 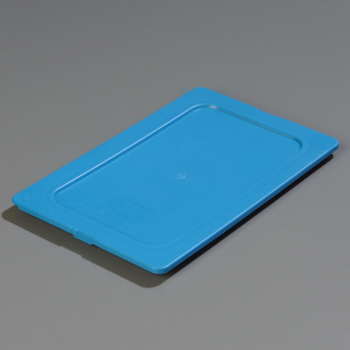 It can withstand temperatures of ‑40°F to 212°F. 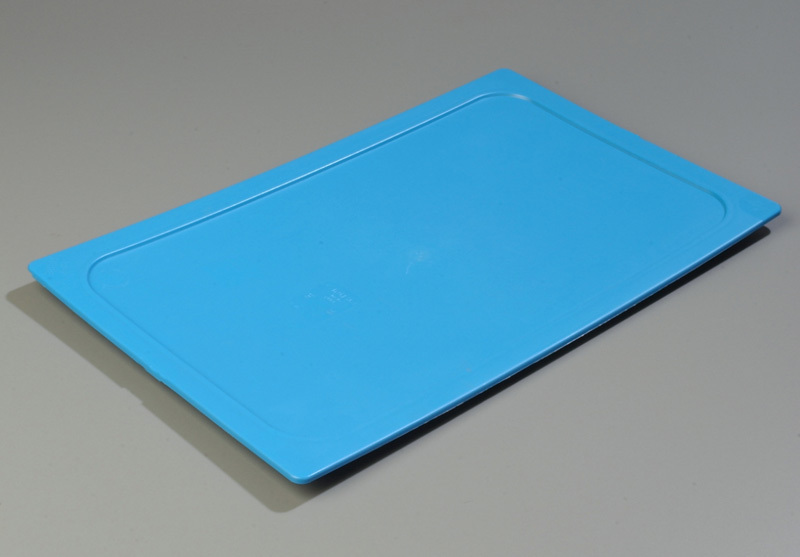 High heat pans excel in high temperature applications (-40°F to 375°F) . 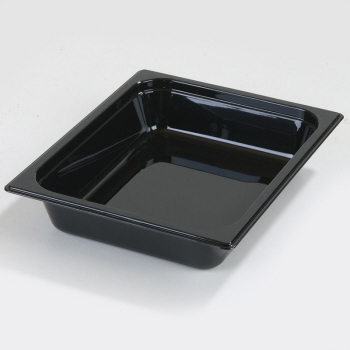 Pans are NSF listed. You just place the end of a spoon or other utensil under the reinforced notch, lift, and remove food pan. Easy lift notch reduces direct hand-to-food contact for greater food safety. Top Notch Food Pans meet specifications for use in food bars and steam tables. Just place the end of a spoon or other utensil under the reinforced notch, lift, and remove food pan. 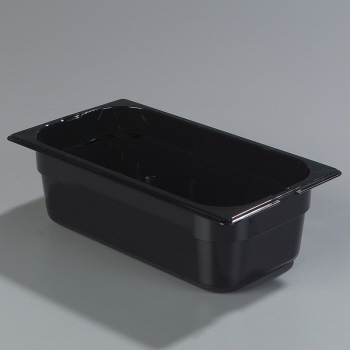 Easy lift notch reduces direct hand-to-food contact for greater food safety. 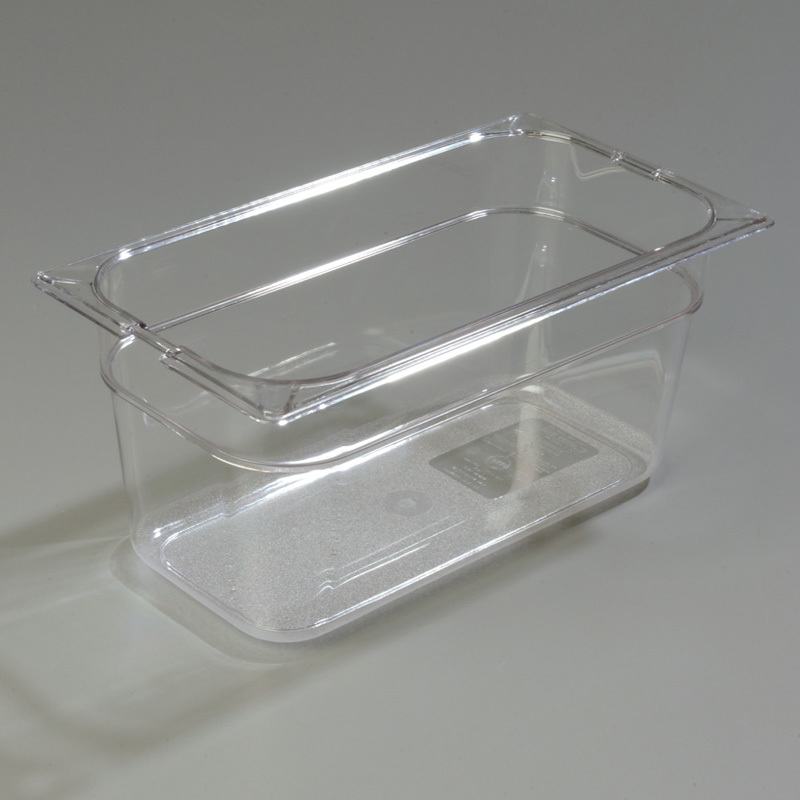 Pans are NSF Listed and dishwasher safe. 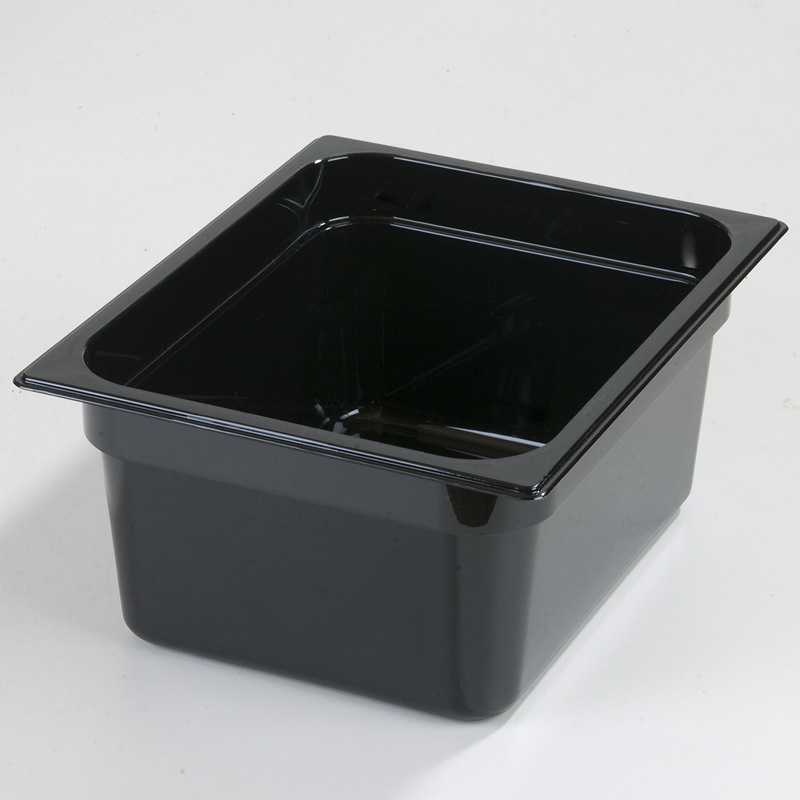 Optional solid and notched lids and drain shelves also available. 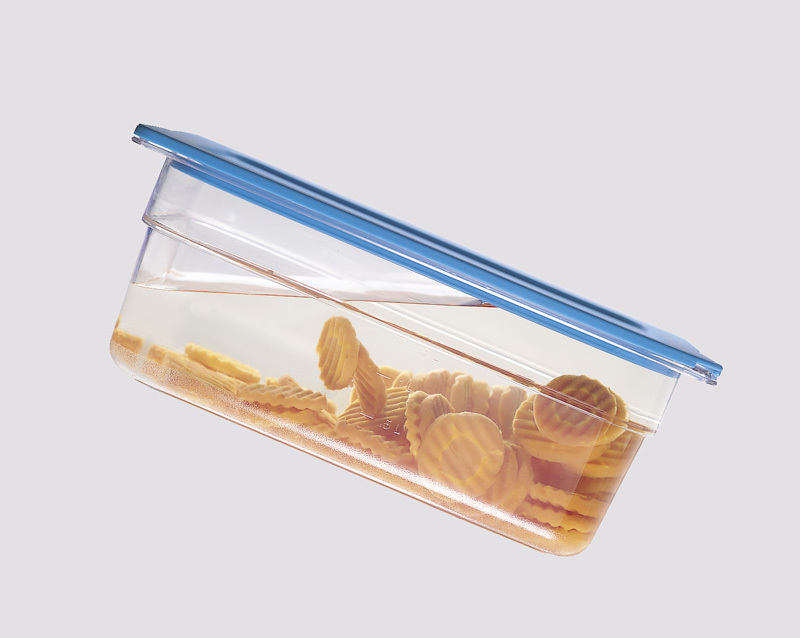 All sizes stack for easy, efficient storage. Top Notch Food Pans meet U.S. and European specifications for use in food bars and steam tables. 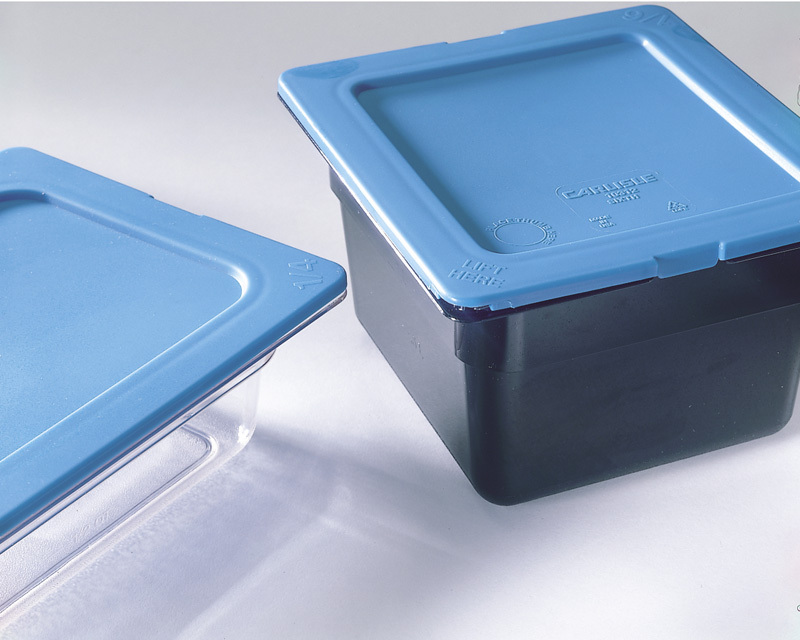 Unique inside seal design provides superior leak-resistance and keeps your food fresher longer. Perfect for transporting food to offsite locations. It has a unique inside seal design which provides superior leak-resistance and keeps your food fresher longer. It is perfect for transporting food to offsite locaitons. 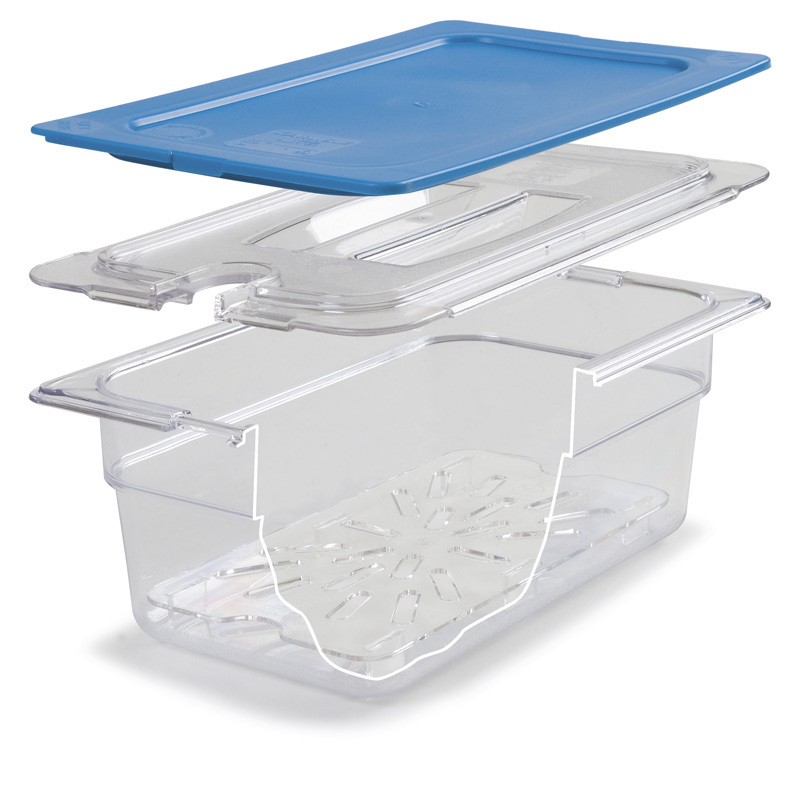 Smart Lids (combined with Top Notch Food Pans) fit inside Cateraide Top Loaders and End Loaders. Polyethylene material is dishwasher safe; for use in -40°F to 180°F. It is designed exclusively to fit Top Notch Food Pans.